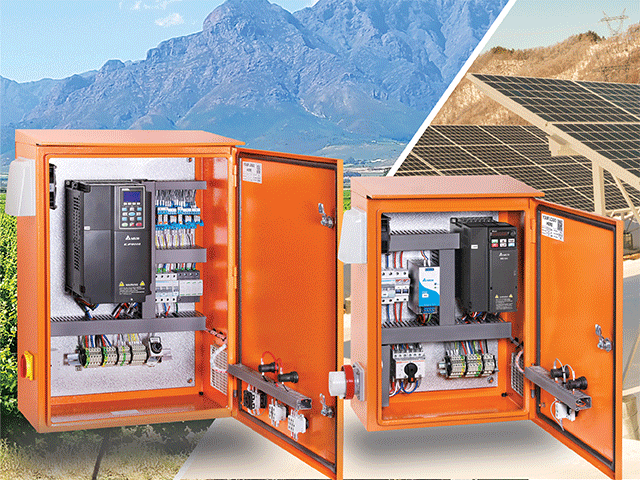 EM offers a complete and robust range of pre-assembled irrigation / solar pump panel systems that provides a solution for a wide variety of pumping applications.Our panel systems are enclosed in a weather-tight protection unit and is available in several sizes and panel variations depending on the control and the environment of the installation. The uncluttered panel layout also allows for reasonable working space which can significantly simplify installation, commissioning and servicing.The preconfigured VSD's (variable speed drives) reduces the amount of energy drawn by the pump motor by controlling the speed while keeping a constant pressure in the line. Even a small reduction in speed can give significant savings.